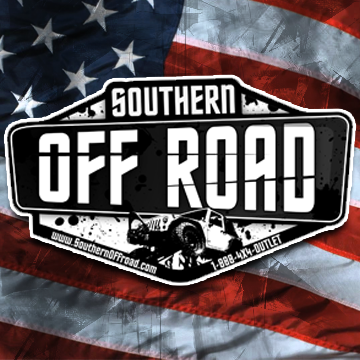 Southern Off Road is your off road everything store. From basic service to sales we do it all. We sell all major brands of off road parts and accessories. Such as Rock Krawler Suspension, Smittybilt, Pro Comp, Rough Country, JCR, BDS Suspesnion, Cognito Motorsports and much much more! We also perform maintenance on off road vehicles and trucks and cars. If you do not already have an off road vehicle but want to get started in this great hobby we offer used 4x4 vehicle sales such as Jeeps and suvs. We also are a full line power sports dealer for Textron Off Road, CF Moto, Hisun Motors, and Odes Industries. We truly are you one stop shop for off road vehicles, off road parts and accessories and off road maintenance!